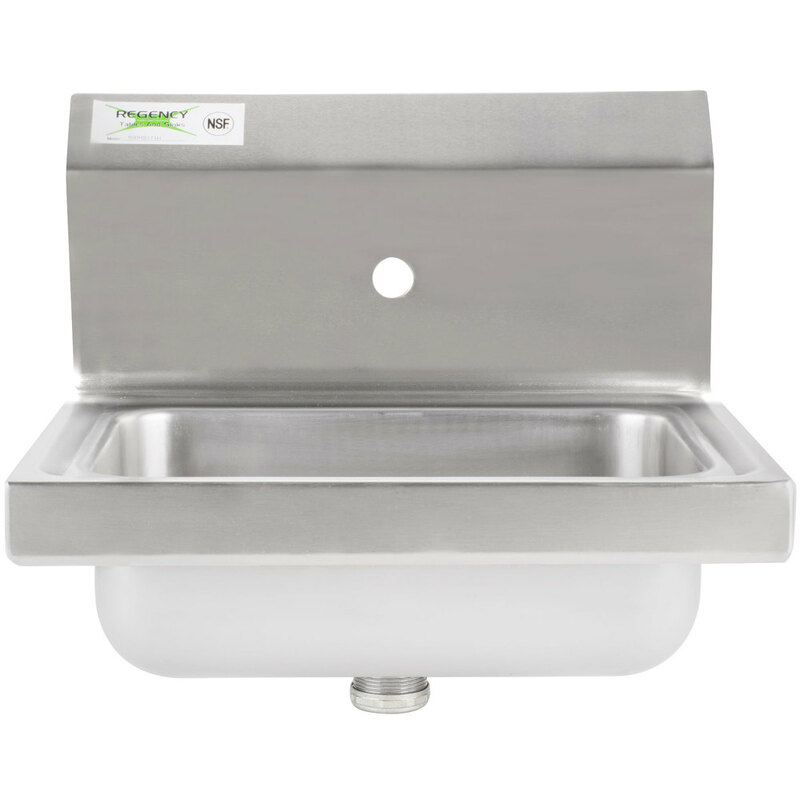 Ensure that your commercial kitchen, janitorial closet, and other areas have a designated hand washing station with this Regency single splash wall mounted hand sink! 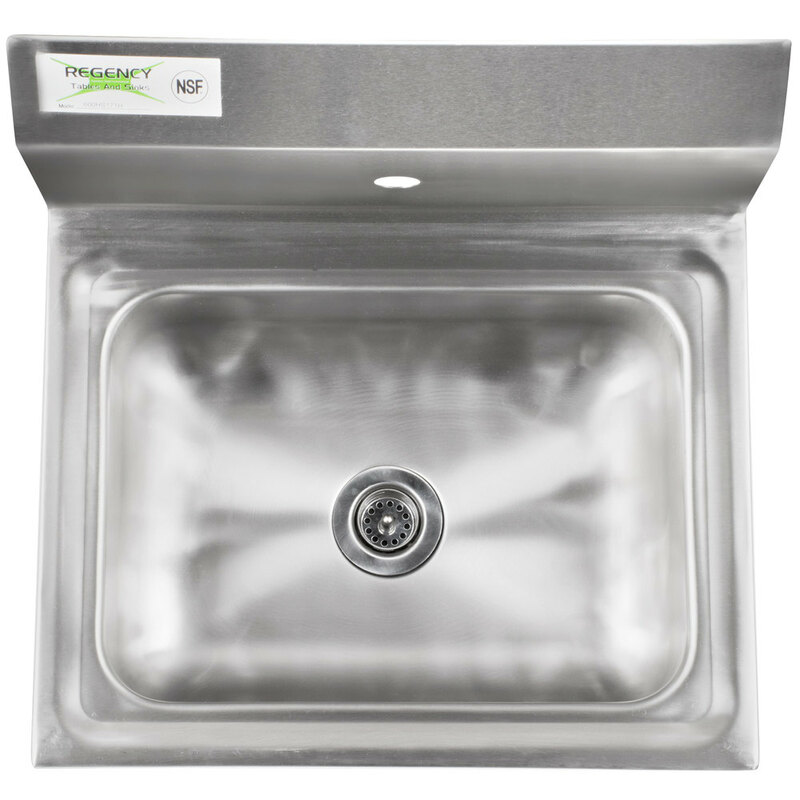 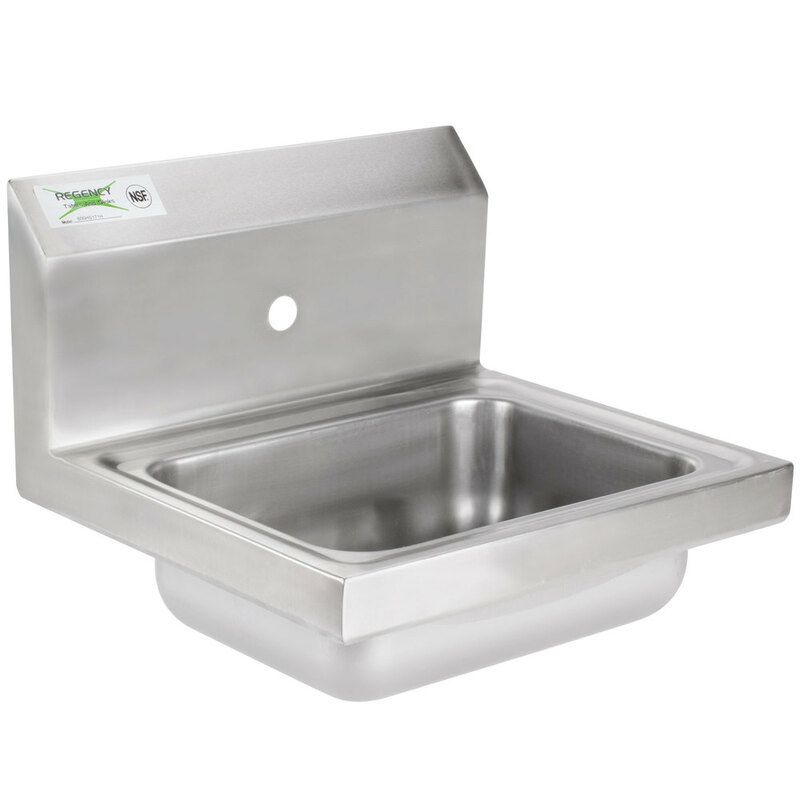 This durable 20-gauge, type 304 stainless steel sink has a 10" x 14" x 5" compartment, while your walls are protected from water by the 8" high backsplash that features a 1" hole for a wall-mounted, hands-free faucet or for a foot pedal-operated faucet (sold separately). 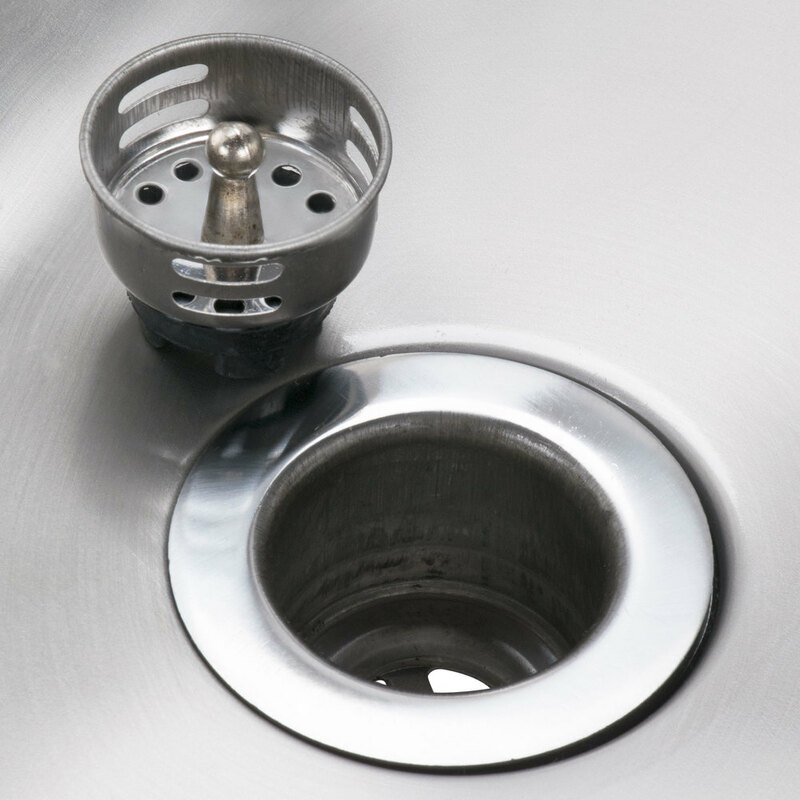 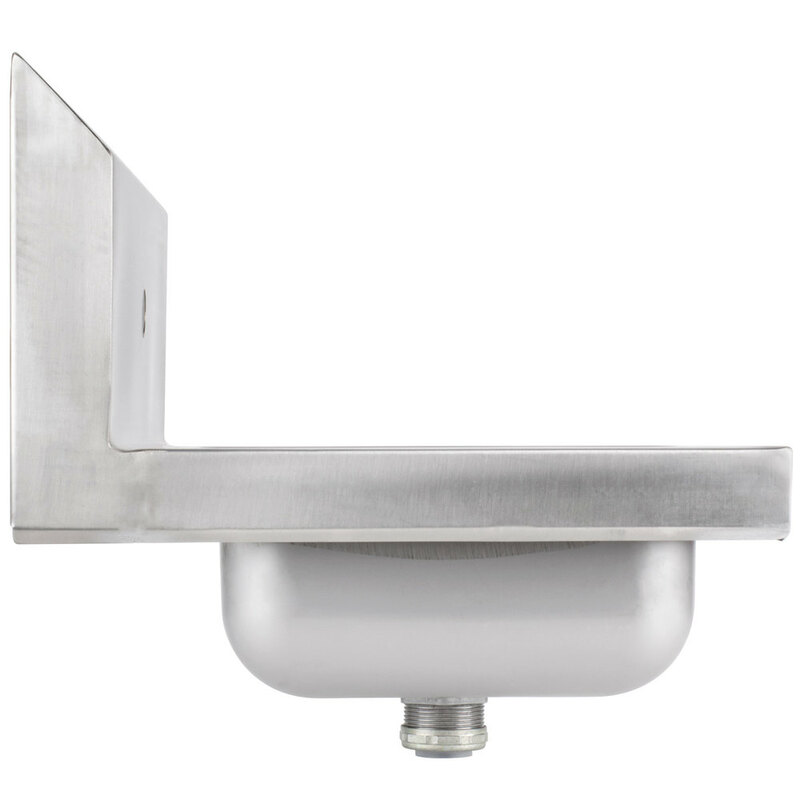 A 1 1/2" IPS basket drain is included, and the unit is easily mounted with the included 18-gauge, type 304 stainless steel clips.